For the first time since 2008 or -9, I am processing patterns for output on the AFH web platform, decorative/design purposes, digital printmaking, and textures for a variety of uses across the digital platform. 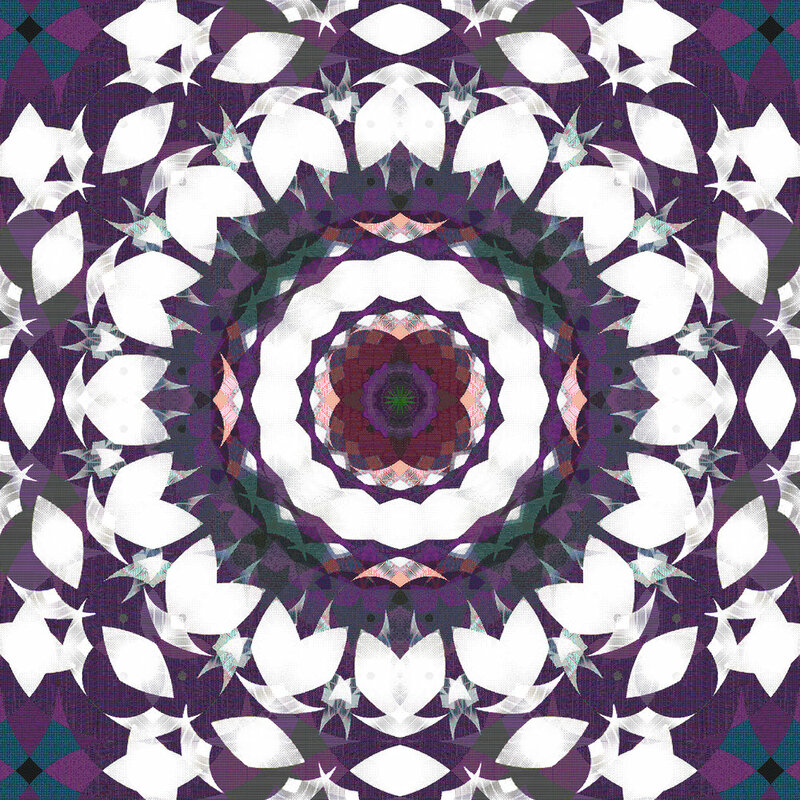 I will integrate these patterns into web pages, animations, images, etc. 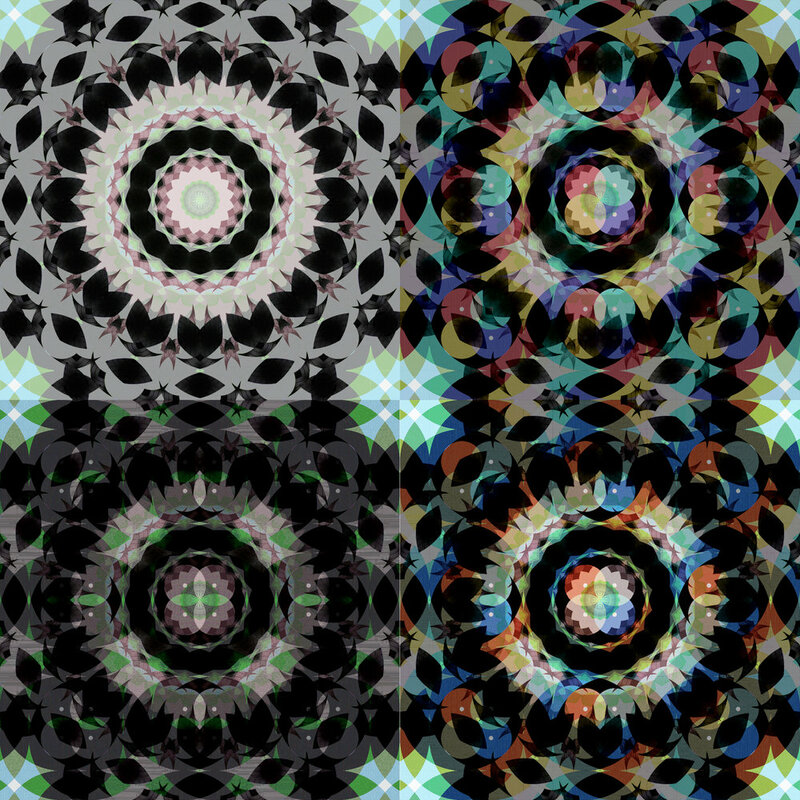 The processes I employ have been developed for this practice since at least 2000, although I began to experiment with patterns as soon as I started learning digital graphics programs in the early 90s. The way that digital media fabricate an image suggests these types of applications, reductive to the pixel structure, or scaling up to large format/high resolution printing and moving/still image output/presentation. Throughout, its about 1s & 0s, squares & symmetry, formats & ratios, & most importantly, dimensions, optics, perception/interpretation. 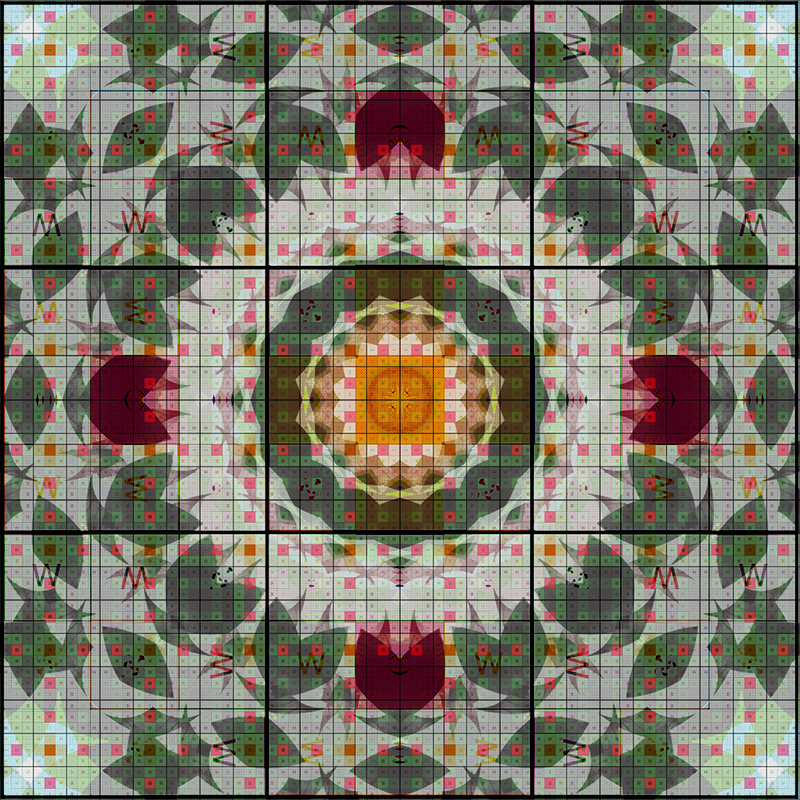 The "mosaics" + mosaic/pattern hybrids above are related specifically to the Pattern series I generated for the Mimaki hi-res UV printer, for shows at Yarger-Strauss (now Timothy Yarger Fine Art in Beverly Hills) and AFH Gallery Chinatown. 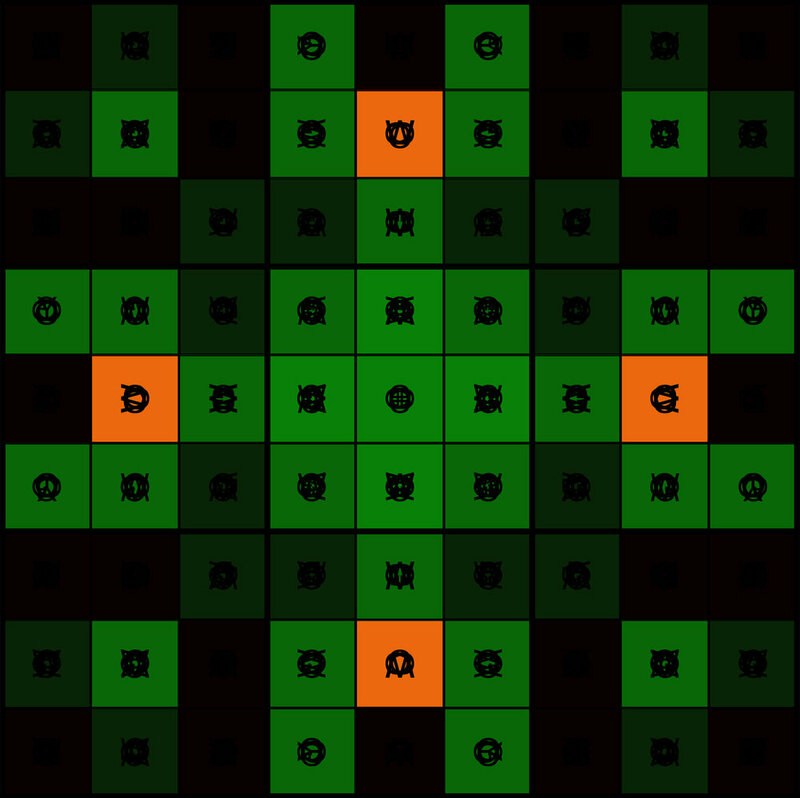 I am working with an online graphic generator for creating schematics used in Rubik's Cube art/translator practices; then doing iterative system play with those outputs. Real.Pure.Digital.